Purdy Adjustable Roller Frame 12" - 18"
Fits all roller sleeves from 12" - 18". Unique angled design for improved coverage and control. Compatible with Purdy Powerlock Extension Poles 80875 and 55004 . 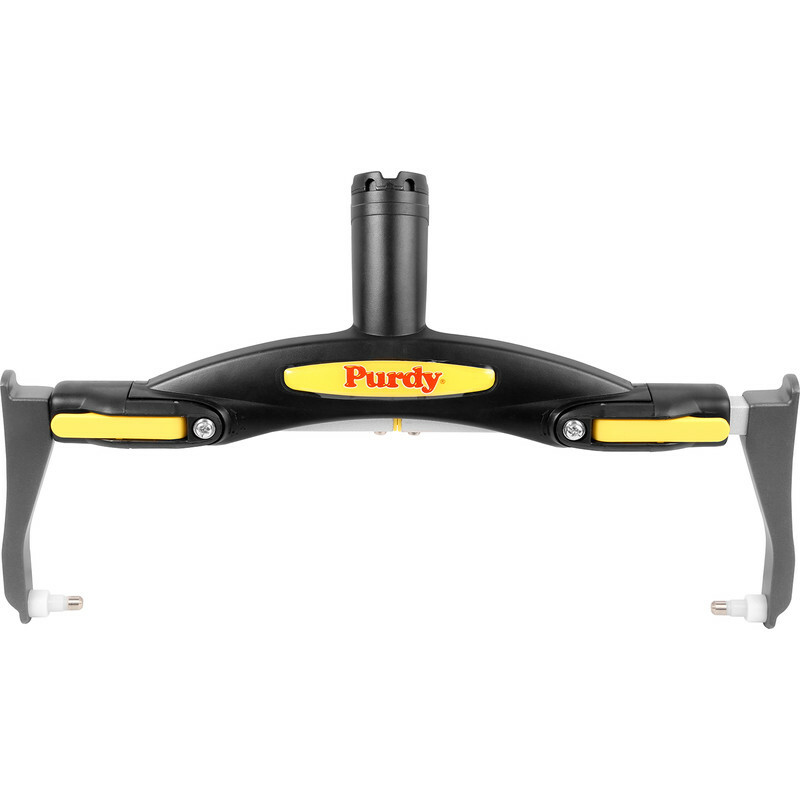 Purdy Adjustable Roller Frame 12" - 18" is rated 4.8 out of 5 by 5. Rated 5 out of 5 by Busy mum of 7 from Simple to use I usually use a 7” paint brush for decorating but it was taking me far to long can’t seem to use a 9” roller get paint everywhere, already had the purdy extendable pole in 2 sizes so when I saw this thought I would give it go bought a 12” roller to speed the painting up and so glad I did so so easy to use and very simple to attach the roller, light weight too love purdy products quality is next to none, and my arms and face isn’t covered with white specks of paint. Thank you tool station. Rated 5 out of 5 by Supermac12 from Purdy @ it’s best Lightweight design, holds sleeve perfectly and cleans up well. Great purchase. Rated 5 out of 5 by Giuseppe62Joe from Superb roller frame This frame can accommodate any brand of roller sleeve and be paired with any branded screw on extension pole.